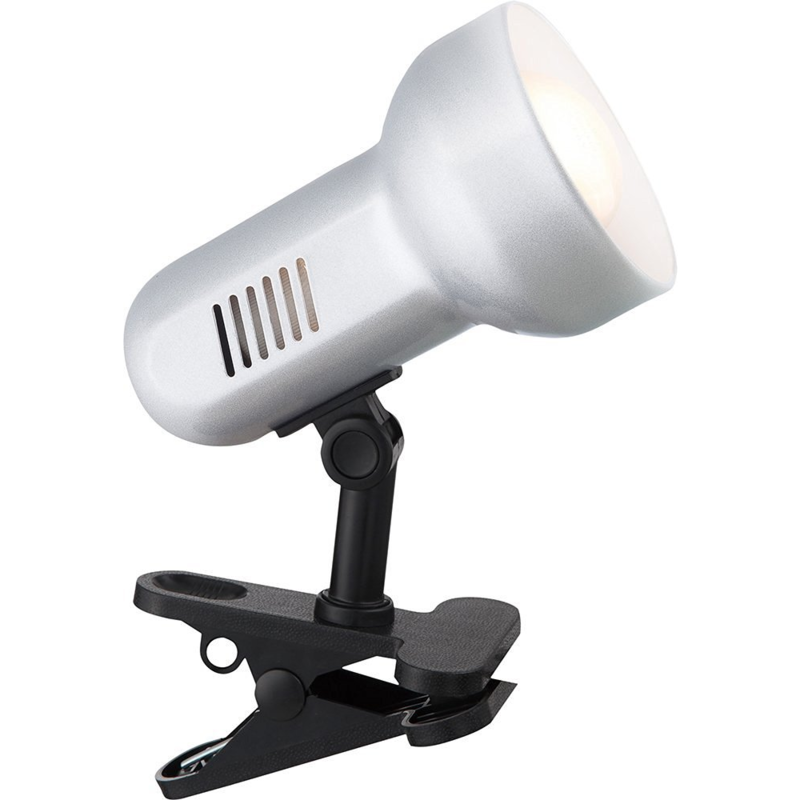 Traditional silver and black clip on spot light with fully adjustable head. Complete with inline on/off cable switch button. Dimensions: Height - 9cm, Length - 20cm, Width: 9cm. Requires 1 x 40watt ES R63 reflector bulb (not included). LED and low energy bulbs can be used if desired. IP20 rated. 1 year electrical warranty.